So... round one of the HYD blog should start off with a little celebration, don't cha think?? We do! 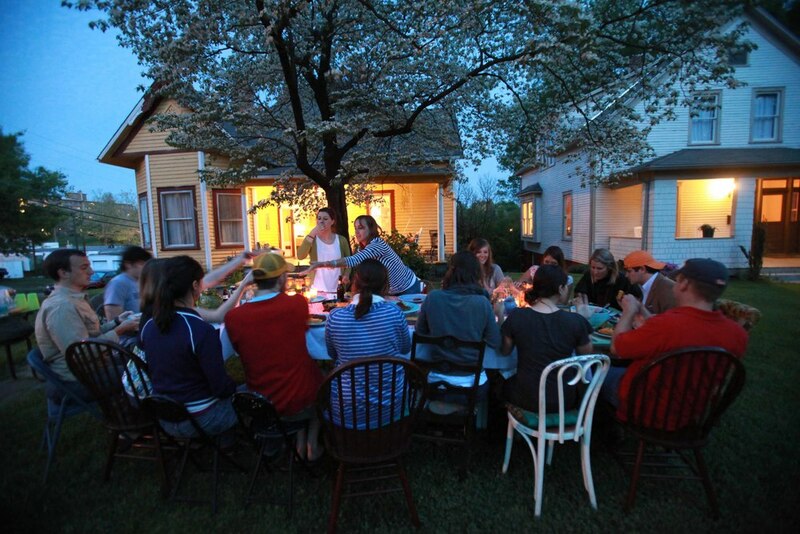 We've put together a little list of ideas to help you host a great get together. You can celebrate along with us! Make it big, make it small, planning ahead & having a few things in place will help you enjoy your guests throughout the shindig. The warm weather is in your favor. You can now use indoor & outdoor space so be creative, move indoor stuff out to jazz up your outdoor space for the party. Bring some fun lamps out, maybe an extra table, candle sticks, a rug. When? Pick a time when you know you'll have time to prepare. For example: If you're off on Saturdays, you'll have much of the day to get ready. Consider your guests as well, when is a good time to get as many of them there as possible. How many guests? Consider your space, your budget, your purpose for having the party - do you want good conversation with just a few or a fun night of music & mingling with lots? What kind of food and drink? Are you interested in preparing all the food or would you like to invite others into that by hosting a potuck? HYD is a big fan of the potuck because the host can spend more time creating a great space for the gathering while the guests help with the food & drinks. If cooking is your thing, start early! Decorations? Get creative and use props. Go to a local thrift store and grab a few candle sticks, a new table cloth or place mats. We love using hanging lights and plants to create a festive and picturesque space. Don't be afraid to ask friends to borrow things for your table scape. We love mix and matching plates and glasses and creating a boho feel. While all of these things help to create a great party, the guests are the most important part. As your prepare, remember that being present and being able to enjoy the party matter most. Do you have any parties coming up? We would love to hear your ideas for creating a memorable party.